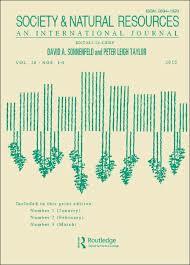 Existing national forest policies in many tropical timber producer countries do not provide an adequate response to the challenges associated with the growth of the domestic timber sector, its impact on forests, its legalisation, and its direct or indirect links to exports. In some cases, these policies are fairly weak in regulating domestic timber markets, in providing incentives for the actors operating in these markets and in removing barriers to include them in a legal framework. In others, where regulations favour large-scale operations oriented to export markets, national policies hurt small-scale forestry operators that are unable to comply with the management and tax regulations in place. In 2003, the European Union launched the Forest Law Enforcement, Governance and Trade process, known as FLEGT. This process aims to curb illegal logging and timber trading. The key instrument to achieve this goal in partner countries is the Voluntary Partnership Agreement (VPA) licencing scheme. The FLEGT-VPA mechanism is uniquely positioned to bring focus to the domestic timber sector and offer policy measures and practical solutions through its problem-specific capacity building, public consultations and management and oversight tools, including the Timber Legality Assurance System (TLAS), chain of custody and independent third party verification. The project Pro-Formal aims to analyse which policy measures could improve the EU-FLEGT chances of success in better integrating the domestic timber markets within the national legal framework. In five selected countries, the project initially will assess different facets of the overall timber sector, be they legal or illegal, formal or informal, regulated or unregulated and small-scale or large-scale. It will also assess the interplay among these facets. Further, the project will seek to better understand the social dynamics within the timber sector of selected countries, as well as the impacts that improved policies might have on domestic timber markets and the livelihood options they currently provide. If one country wholly embraces VPA, for instance, efforts to reduce the informal timber market should not result in an indiscriminate clamp-down of chainsaw loggers that unduly undermine livelihood options at the local level. Knowledge gained from Pro-Formal work will be used to develop a menu of instruments, systems and policy options for consideration in national level VPA negotiations. The project aims to foster common sense policies that bring the domestic sector from grey and black markets into legal ones while promoting sustainable forest management and improved livelihood options. We will first conduct surveys in the five selected countries of Cameroon, the Democratic Republic of Congo, Gabon, Ecuador and Indonesia to characterise the forest sector and its dynamics. We will then develop a common methodology for data collection on the domestic timber markets of each country. Data collection and analysis in the target countries will help define the specific tradeoffs involved in regulating and formalising the domestic timber market, protecting livelihoods, and promoting improved forest management. 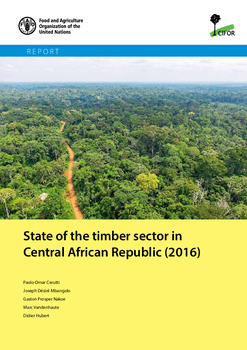 New empirical data from the selected countries will allow conclusions about the scope of the domestic timber sector, both informal and formal, and the interrelationships among larger-scale formal actors and informal and small-scale ones. Data analysis will help describe who harvests, who processes, who sells and who buys as well as the complexity of supply chains and systems. We will also analyse differences in terms of marketing and financing between domestic and export-oriented timber sectors. The analysis will also assess the magnitude of the people dependent on, and the livelihood options currently sustained by, the domestic sector in the five countries, as well as the potential trade-offs that better regulated domestic sectors could engender on livelihood options. Such new data and analyses are of critical importance to understand the challenge, so that adequate responses can be designed and policy decisions informed. How can the domestic timber sector or some of its segments be better regulated and formalised? How can policy frameworks and international trade instruments be best devised to avoid creating poverty and illegality traps for domestic timber sector? 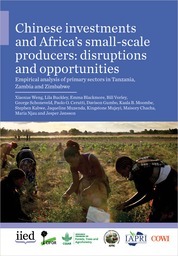 What are the trade-offs between the formalisation of domestic timber sector and the livelihoods they currently support? Which instruments, systems and policy frameworks could be considered in VPA negotiations that are most appropriate to foster a sustainable and legal domestic timber market?